Now that Google+ is one of the largest social media sites in the world, our social media agency team is going to help you learn how to use it properly and discover the tools that you need to set your business up for success. 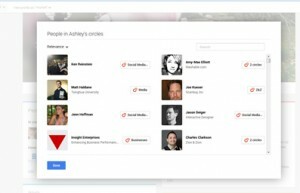 Google Plus has been around since 2011 and has been an ever-changing social media platform. 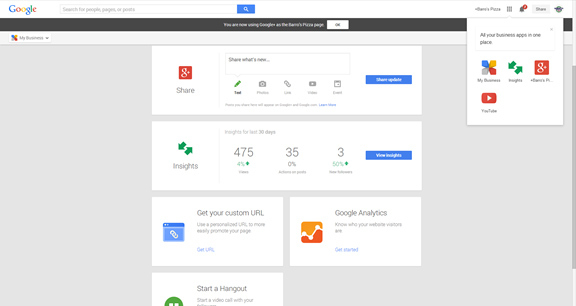 Owned by Google, Google+ (G+) has several reasons for businesses to pay attention to the continually growing site. 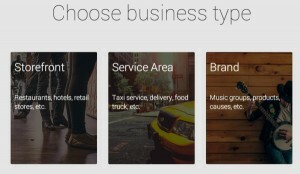 Here is a breakdown of the top reasons why a business should be on, and participating with, Google+. 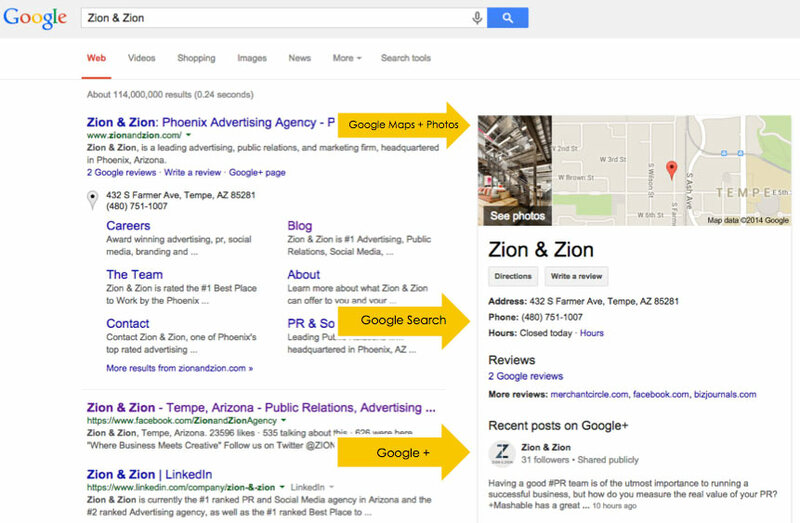 With Google being the largest search engine in the world, and Google+ being its child social media site, Google has made G+ extremely relevant when it comes to search rankings. G+ improves the visibility of your business in Google search, now more than ever with the recent Google updates of the Hummingbird algorithm. G+ is now the second largest social media platform in the world with over 540 million members. Over 65% of these members are active users on a monthly basis. A recent algorithm change with Facebook’s organic reach has created a decrease in views for many businesses. Having another platform with active users, such as G+, increases social signals and networking opportunities for your brand. (Read more about the decrease in Facebook’s organic reach). G+ uses content differently than Facebook and Twitter. 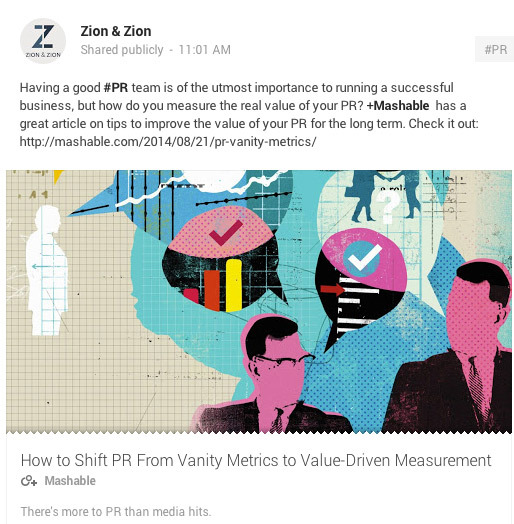 G+ can also be used as a micro-blogging platform as it encourages lengthy content posts. 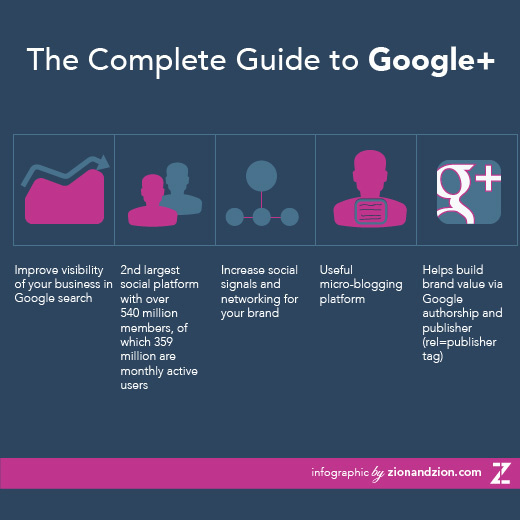 Google+ was once a large factor for blogs and Google Authorship, but we have seen authorship disappear recently. 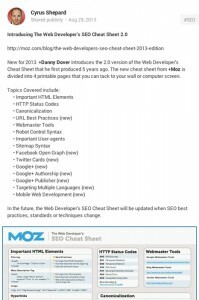 Matt Cutts from Google insists that Google Authorship will be back, and we saw that Google+ played a large role in this. Since the release of Google+, Google has had several updates. 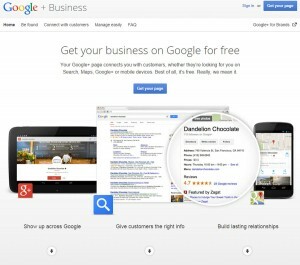 Google+ and Google Pages are now Google My Business. …so that customers can find you, no matter what device they’re using. 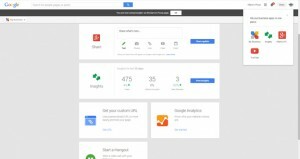 If you had previously claimed your business on Google Places, you should be able to automatically log into Google My Business with your Google login. If you are starting from scratch, we will show you how to set up your account. Once you have set up your business Google+ account and Google My Business, you will want to make sure that you are optimizing your page. Optimizing your page will help people find your business faster, help with your search rankings and will give people another platform to interact with your business on. Create a consistent brand for your business by having custom images created for your profile and banner images. Using custom images helps with ranking on image search. With custom images, be sure to create file names that are searchable. You will also want to add your website url and a thorough description of your business. Using “rel=publisher” code, link your business page to your website. 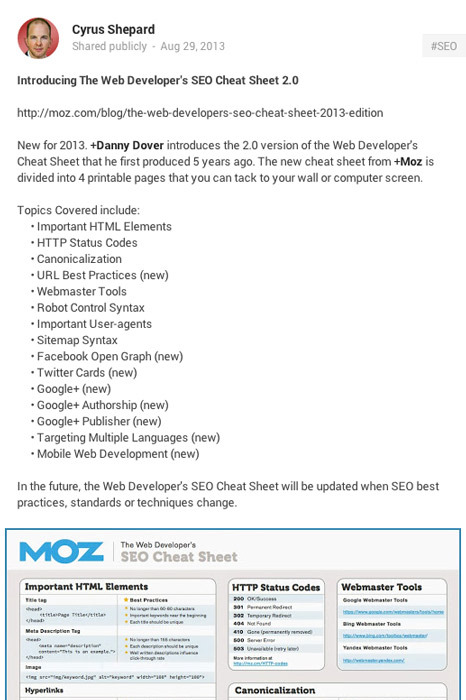 Google may display authorship information in search results, so you’ll want to have this set up already. This will help leverage your content in search. Along with authorship, be sure to add the +1 button to your site. This allows users to recommend your content and to follow your page. Don’t share content with the dark. Find other businesses and people to add to your circles in hopes that they will follow back. By following someone, do not assume that they will automatically follow you back. People follow back when they find pages that are interesting and have useful information. This brings us to the next point. People want to read content that is relevant, insightful and that gives them a reason to come back for more. The more relevant and shareable your content is, the more Google will boost your authorship and content. Along with great content, be sure to optimize your Google+ title tags. 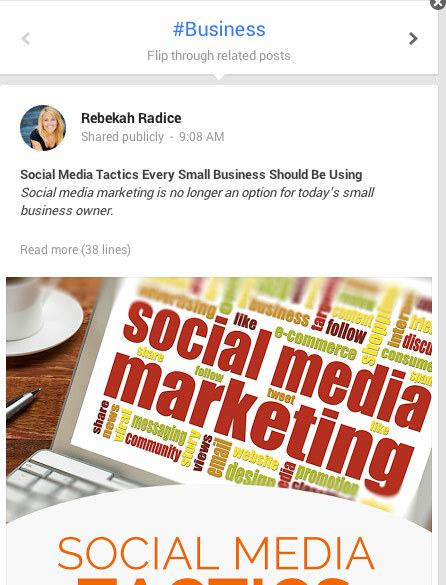 Like we said before, Google+ is like a micro-blog, so be sure to add keywords and have a keyword rich title. As we have seen in previous social media statistics, people interact with visuals far more than regular posts. Make sure to create custom visuals, videos and infographics to get people engaged with your content and more likely to share. Still not sure where to go from here? 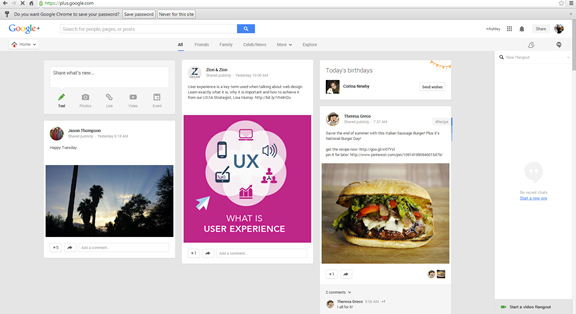 Let’s take a tour of the different Google+ areas and lingo. We will also talk a little bit about what type of content is best when writing for a business. Using the search bar at the top of your dashboard, you are able to search for businesses, people, and hashtags. Once you find a business or person through search, you can add them to your circle. Circles can help make networking easier and is similar to following people on Twitter. Even if you have circled someone they don’t HAVE to “circle” you back. A hashtag can be a word or a term (sans spaces) that helps people find other people or businesses talking about a specific topic. Hashtag words or terms are preceded by the hashtag symbol (#). When a hashtag is posted in Google+, users can click on the hashtag and see other people or businesses talking about that same subject. You can also click on a hashtag at the top of a post and flip to see others talking about the same things. Similar to Facebook’s “like” button. 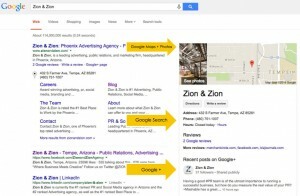 The amount of +1’s on your page help with ranking your content higher in Google+ and Google search. 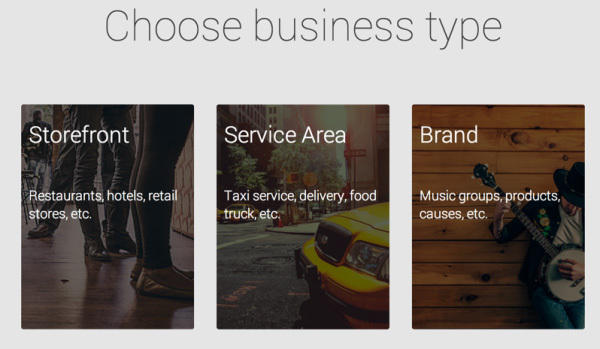 Manage your page through Google My Business. The insights available to you are metrics such as visibility, engagement and audience. Here are some basic tips to help you get started with content. 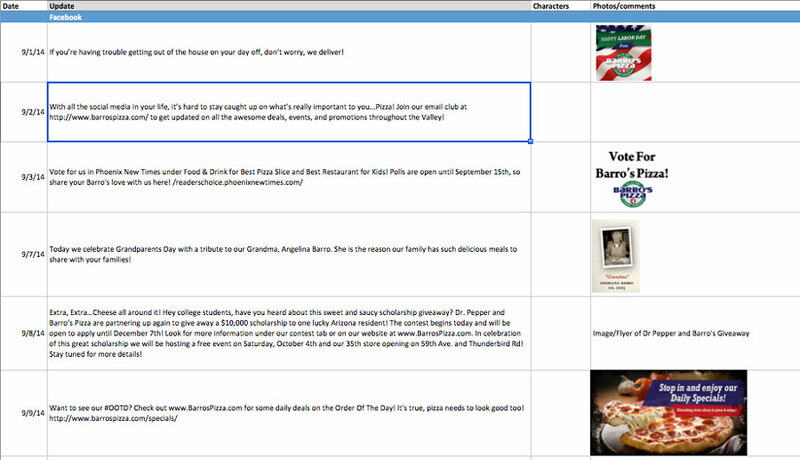 Create a content calendar to organize topics and ideas. Content calendars also help you create enough content to then put into scheduling tools which will help you save time. Content calendars cannot only be used for Google+ but for all of your other platforms as well. Having all of your social media platform content calendars in a spreadsheet will help you keep all of your content organized. 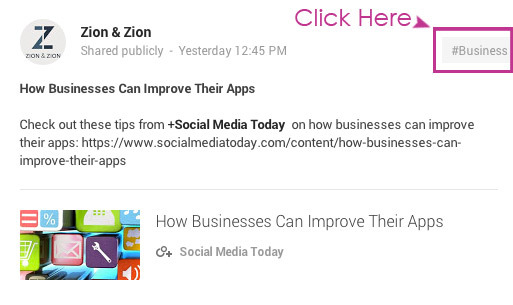 Every business is different but for a basic rule of thumb, posting at least once a day is in good form for Google+. Content creation can be time consuming, but keeping a page stagnant will create less interaction and doesn’t leave a good impression when someone finds your page. When laying out your content calendar, think of what you will also need visually. If you have resources to create custom images, let your designer know what would visually fit with your content. If you don’t have a graphic designer, try to use as many unique images as possible by taking photos and videos on your own. Blasting your readers with advertisement related content will not create interaction. Find unique ways to incorporate your products without sounding like a TV commercial. 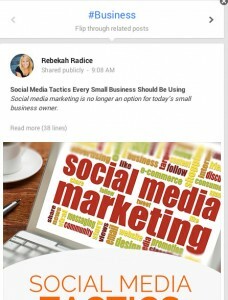 Google+ is a micro blog so treat it like one. What do blogs begin with? They start with a great headline. Think of what someone might be searching for, combine that with keywords and there you go, a strong starting point to get people to read further. Questions are a great way to get people to read on, because most of the time they are questions that they themselves are asking. You also want to give people a reason to share your content, whether it’s by having it all in your post, or having a visually appealing infographic that they can quickly scan. Along with headlines, posts should be written in long form. Summarize what you are linking someone to and give them all of the information that they would potentially need in your post. Making a visually appealing format through the use of your content will keep them reading. Leverage other business’s pages and interaction by tagging them in your content. This creates resources for you to spin content off of and hopefully generates partnerships for them to share your content. Along with interacting with other pages, using hashtags will help people find your content. Google+ organizes content based on hashtags, and it is the easiest way to find others who are talking about the same topics as you. Hashtags should be placed throughout your post, but mainly placed at the end/bottom of your post. Do not spam your content with unrelated hashtags as this visually does not appeal to people. #Do #Not #Tag #Every #Word. Overall, Google+ is one of the most popular social media platforms at this time. With the constant algorithm changes in both Google search and Facebook, we will be seeing more and more businesses flocking to the platform. 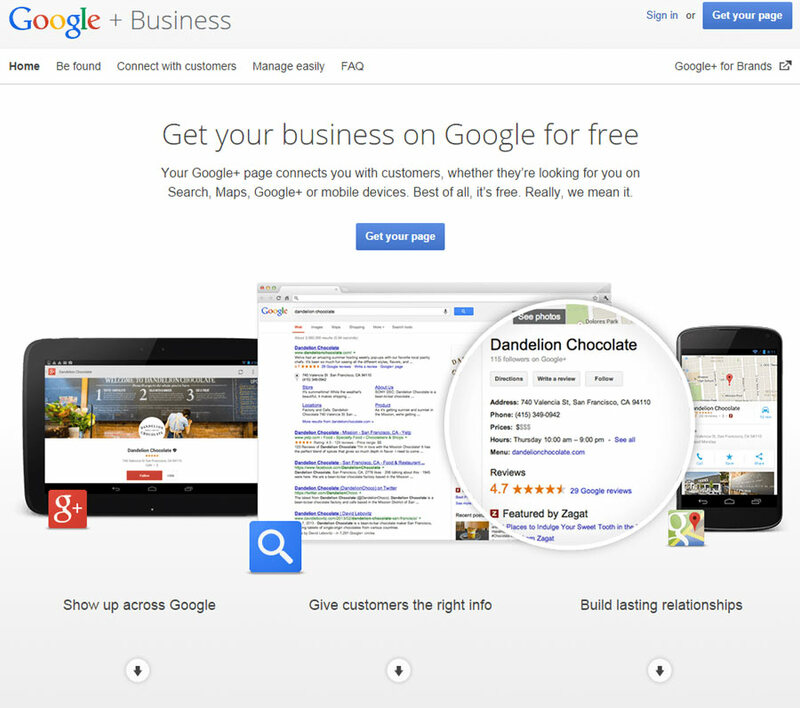 This site gives you a step by step tour of Google My Business. This is the link to the actual page where you can begin to create your page. Next post : What is an Infographic?